The Centre for Research and Technology-Hellas (CERTH), founded in 2000, is the only research centre in Northern Greece and one of the largest in the country. CERTH has important scientific and technological achievements in many areas including: Energy, Environment, Industry, Mechatronics, Information & Communication, Transportation & Sustainable Mobility, Health, Agro-biotechnology, Smart farming, Safety & Security, as well as several cross-disciplinary scientific areas. Today CERTH includes the following five institutes: (a) Chemical Process & Energy Resources Institute (CPERI), (b) Information Technologies Institute (ITI), (c) Hellenic Institute of Transport (HIT), (d) Institute of Applied Biosciences (INAB), (e) Institute for Research and Technology Thessaly (IRETETH). Out of those, CERTH participates in this project through ITI. The participating team, namely the Multimedia Knowledge and Social Data Analytics laboratory (MKLab), part of ITI, has significant experience and scientific expertise on the technical aspects of EOPEN, namely on multimedia analysis, indexing and retrieval, clustering and classification, semantic modelling and reasoning, as well as web and social media mining, due to the participation in more than 30 European research projects in similar areas. ENTRANET has designed the “home of the future for the elderly” for which it has received honors by the European Program “Wider” and the European Business Awards and has received the Seal of Excellence by the Commission. The motive behind every design decision is based on the ease of everyday interaction of the user with the technology but also on the simplicity of installation and use. 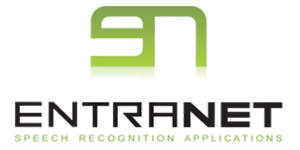 ENTRANET, having expertise in voice recognition, has achieved maximum ease in human and technology interaction. Its products are solutions that make life simpler and easier for everyone. 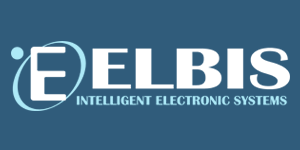 ELBIS is active in the field of applied electronics and its main objective is the design and production of reliable and innovative electronic products. Continuous research and insight led to the development of sophisticated technological applications, offering products and solutions in the fields of industry, medicine, petroleum products, transport, etc. Nowadays many companies operate with products of the company and trust ELBIS for the quality of its products as well as for its technical support. EVEXIA was founded in 2007 and is based in the Municipality of Thessaloniki in the Prefecture of Thessaloniki. 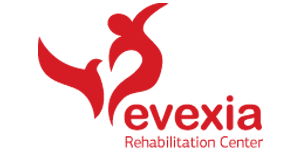 EVEXIA SA operates one unit - Rehabilitation Center - Rehabilitation Center ELEXIA in Kallikratia, Chalkidiki, just a few minutes from the city of Thessaloniki. It is a top-of-the-line center with an enhanced care unit and provides high quality rehabilitation services. It has 165 beds and treats post-operative patients suffering mainly from neurological diseases, post-operative, orthopedic and neurosurgical conditions and rheumatic diseases. Patients can choose closed hospitalization or follow rehabilitation programs as outpatients. EVEXIA is constantly evolving and has a strong team of doctors and therapists. Its excellent working climate combined with the very good relationships it maintains with its customers, give the Company remarkable financial results and comparative advantages over the competition.